Join the City of San Rafael at our public Energizer Station on May 11 at the corner of Lindaro and Andersen, in front of the Albert Park tennis courts. We’ll be rockin’ the commute with morning snacks, hot music, cool MCBC bike bags and water bottles, and The Tranquilla Gorilla. This year will be co-hosted with the Marin County Bicycle Coalition and Strick Law. So come on out and show your bike love, enjoy some fruit and bagels, get your annual schwag, and join the dance party. 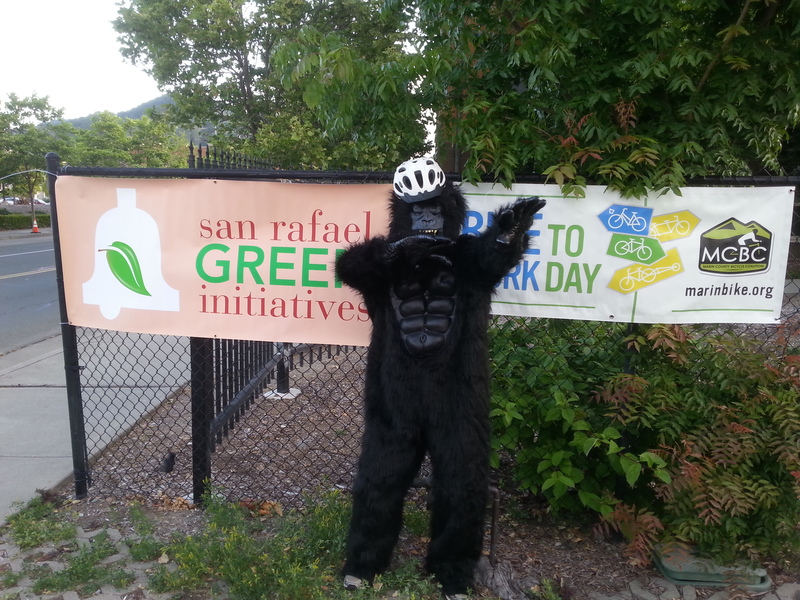 ‘Cause there ain’t no party like a bike party… with a guy in a gorilla costume.